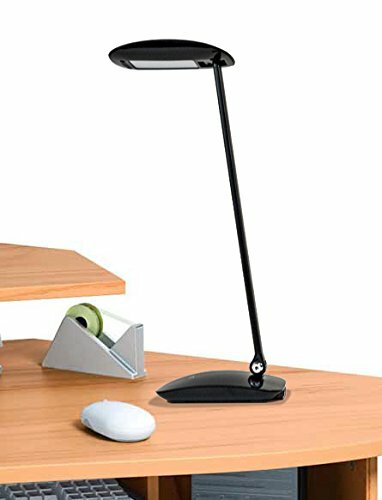 This LED lamp is designed to blend beautifully in today’s modern work space. And, with all of the latest features, it’s sure to become your favorite co-worker. USB port has an output of up to 2.1 amps. So go ahead, top off that tablet. 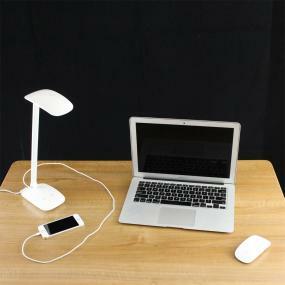 Need more light to charge through the afternoon work slump? Or, is it time to set a subdued mood at the cube? No problem. Touch dimming controls let you set the perfect amount of light. What’s your preference? Our Adjustable Kelvin technology lets you set your optimum light color. 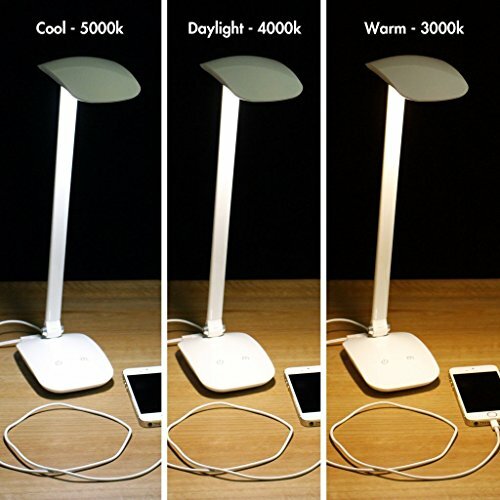 3000K – Warm Soothing Light for reading and relaxing. 4000K – Crisp Full Spectrum Daylight for those long days on the job. 5000K – Cool Bright White for tasks demanding focus and fine detail. 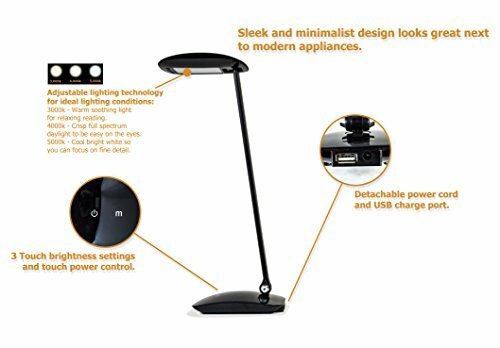 Inspired by the Apple MagicMouse, our lamp rounds out your desk top, and ensures all the other fan boys will be jealous. Convenient 2.1A USB Charging Station Hub for Smartphones, Tablets, iPhone, iPad, Digital Camera, Samsung Galaxy, HTC, LG, Android Phones, etc. 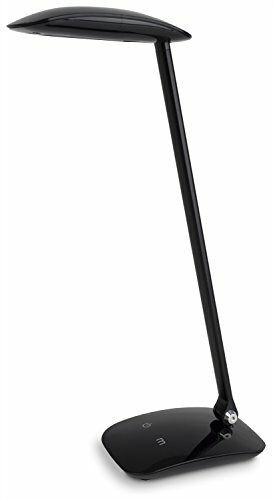 Energy-efficient LED light that can last up to 22.8 years! (based on 3/hr day usage). 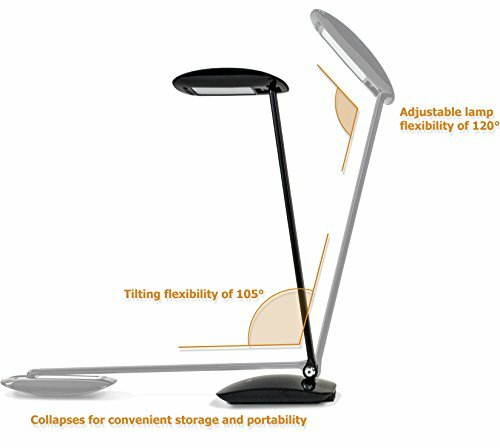 Replace your CFL or halogen desk lamps and start saving! 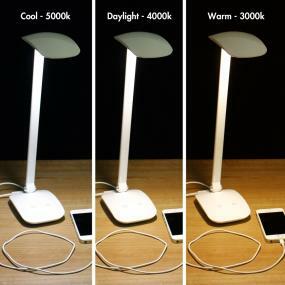 Adjust color tempeature technology with 3 outputs: 3000K (Warm Soothing), 4000K (Daylight) & 5000K (Cool Bright). The modern and sleak design compliments Apple(R) products like the Magic Mouse(R). 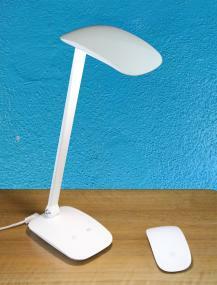 Great for college, school & university dorm rooms.